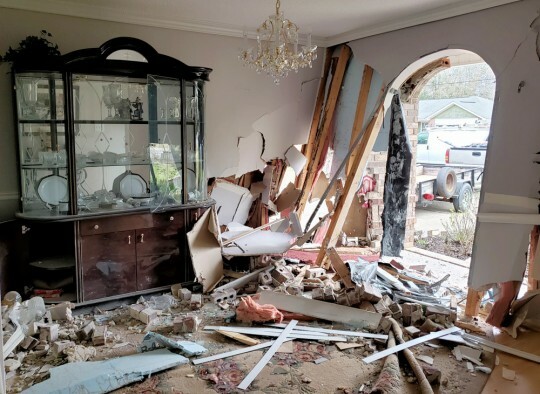 A vehicle was stolen in the Ironhorse subdivision in Cantonment early Friday morning and a second stolen vehicle crashed into house a short distance away. A 2015 Nissan Rogue was taken from a home on Chesapeake Trail, just off County Road 97, during the early morning hours, and six unlocked vehicles on the same street were burglarized. 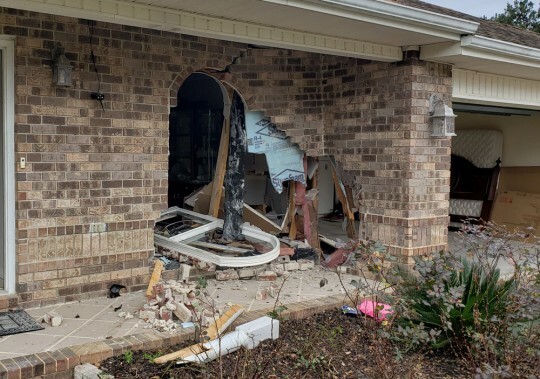 Also overnight, a suspect crashed a Nissan Altima into a brick home less than a mile away on Silver Ridge Drive. 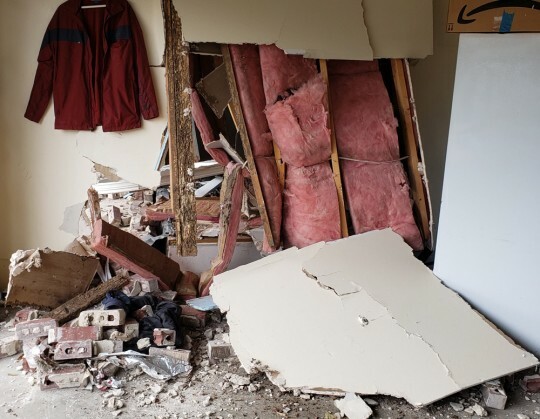 The vehicle traveled through the dining room and into an interior wall to the garage about 3:45 a.m. No one in the home was injured. The suspect fled on foot, according to Maj. Andrew Hobbs of the Escambia County Sheriff’s Office. He was described as a black male with dreadlocks wearing a white hoodie. The Nissan Altima was stolen earlier this month from Metford Avenue in the Monclair area. A handgun and cupcakes were among the items stolen from six unlocked vehicles on Chesapeake Trail. 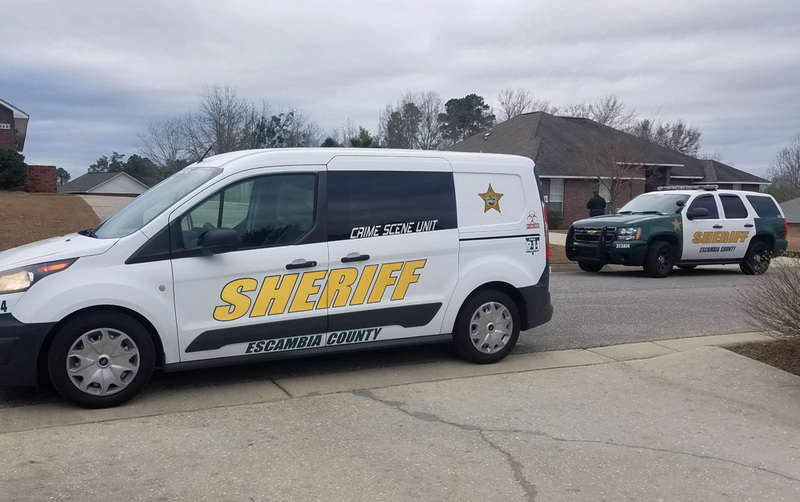 The Escambia County Sheriff’s Office Gun Response Team is involved in the investigation due to the stolen firearm. “We just can’t stress enough how important it is to lock your vehicle,” Hobbs said. The possible connection between the two incidents remains under investigation. 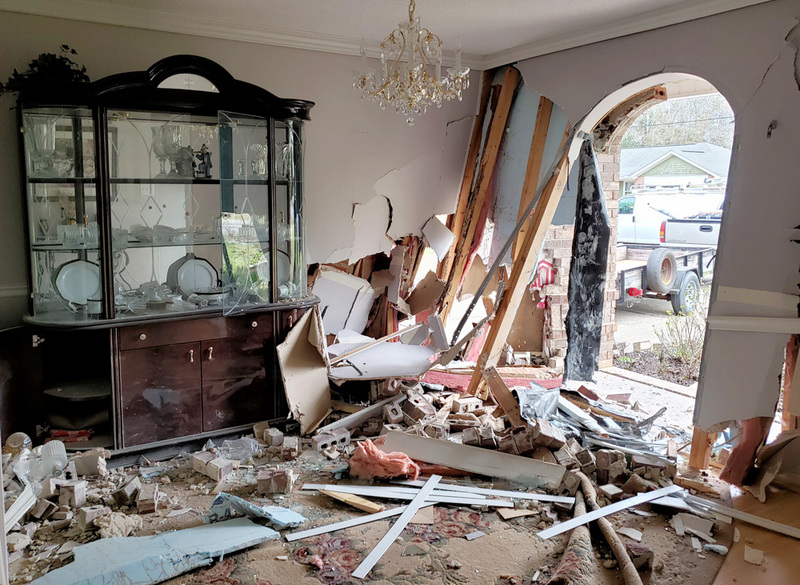 Anyone with any information is asked to call the ECSO at (850) 436-9620 or to remain anonymous call Gulf Coast Crime Stoppers at (850) 433-STOP. Crime Stoppers callers can be eligible for a cash reward. …the right of the people to keep and bear Arms as long as they are kept in an impregnable safe, shall not be infringed. ..the right of the people to keep and bear Arms other than in a car, shall not be infringed. Many despise the Second Amendment of the Constitution because criminals crazies, and kids hurt themselves and others through the unlawful use of weapons, but saying arms can only be kept a certain way violates the wording. Understand I am not saying it is wise, but think long and hard about making it illegal. As has been pointed out, this could be applied to kitchen knives. It could also apply to ropes, clubs, hoes, gasoline, lighters, spray bottles, propane bottles… anything which could be misused. Escambia County Sheriff’s Dept. has preached and preached about locking your doors. Cars, homes, trailer hitches. 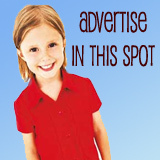 commercial equipment and etc. to make it more difficult for a thief to steal it. Thieves won’t spend too much time trying to steal. They go for the more easy to get and go. People, just lock your cars and lock your doors of your house. And if guns (and cupcakes) were not readily available, we would not be having any of these discussions. Anyone opening another person’s vehicle…or any other property…without permission is committing a severe crime….whether the car is locked or not. However, I agree that people now days should be locking up everything they own as do I, and I never leave a gun inside my car at night….I need it to shoot at the ding-dong that tries to invade my property. If my knife is stolen out of my car should I be charged if it is used in a crime? Come on now people, stop shifting the burden away from blatant criminals. It’s almost like yall are making an excuse for them to be prowling in the middle of the night with the intent to burglarize vehicles. Whereas the latter just forgot to lock their car. I had my glock 17 stolen out of my locked vehicle. The car was unlocked in a relay attack where the key fob signal was hacked. Very hard to prove but some of these in the article could be the case. Slippery slope indeed. Charging a legal gun owner who has had their firearm stolen and used in a crime. On the other hand,, It is irresponsible leaving your concealed so easily accessible and unattended. If you have an EDC you should consciously make the decision to conceal every morning. Not wake up to notice your vehicular safe is missing. We are making it too easy for those who do not abide. Firearms need to be kept in a secure location. I don’t keep one on the mantle and I don’t advertise that I even have one. I have a safe for them. I always lock my house also. I do not condone the criminal activity stated here but really people, this is 2019 not 1950. For goodness sake, lock your cars and houses – especially if you are going to leave a gun in the car! I mean that is just common sense. Marshall… so if your vehicle gets stolen, you deserve to be punished if that vehicle is used in the commission of a crime? That’s a high standard brother. Clearly you’ve never left your vehicle unlocked before. You’re a solid keyboard hero. Best of luck the rest of your hypocritically judgements life. AAR for your comments: focus on the actual criminal, hero. 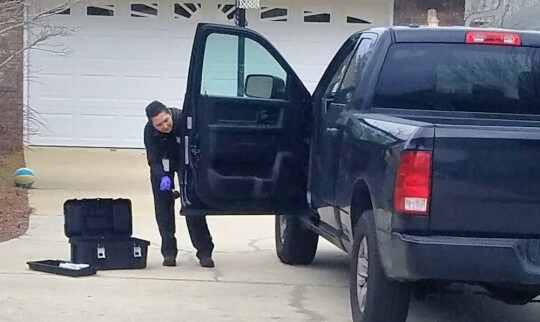 Whatever one’s thoughts might be about a person leaving a firearm in an unlocked car or house I wouldn’t lose my focus on the criminal who burglarizes and steals it. Should the owner of a shotgun or pistol that might be left in a closet or a hunting rifle over the mantel that gets stolen by a thief who sneaks in an unlocked house while the owner is in another room be equally penalized in the same harsh manner and that be reason enough for that person not ever owning a gun again, and should they be charged as an accessory to any crimes that might be committed with that weapon? Slippery slope there. I might caution the innocent to act responsibly but focus more on the criminal with sanctions. It amazes me how the victims of these crimes are attacked but not the criminal. I realize that it’s not the 1960s when we didn’t have to lock our cars or houses. But put the blame on the criminals not the victims. And when this low life is caught I’ll bet he has a record. If you want to charge someone as an accessory charge the judges that keeps putting them back on the streets to commit more crimes. And yes you should secure your weapons. I don’t have a keyless car but I have left my purse in my car by accident. I always lock it though. If your fob is left in the car will it even lock? Leave your gun unsecured and unattended? This is a serious offense and should have serious punitive consequences including loss of gun privileges and a hefty fine for the owner. Jail time of course as an accessory if the gun is later used in a crime. This needs to be stopped so that innocent people do not get hurt and gun privileges are not taken away from everyone. This neighborhood has had property stolen from unlocked vehicles at least three times in the last ten years. 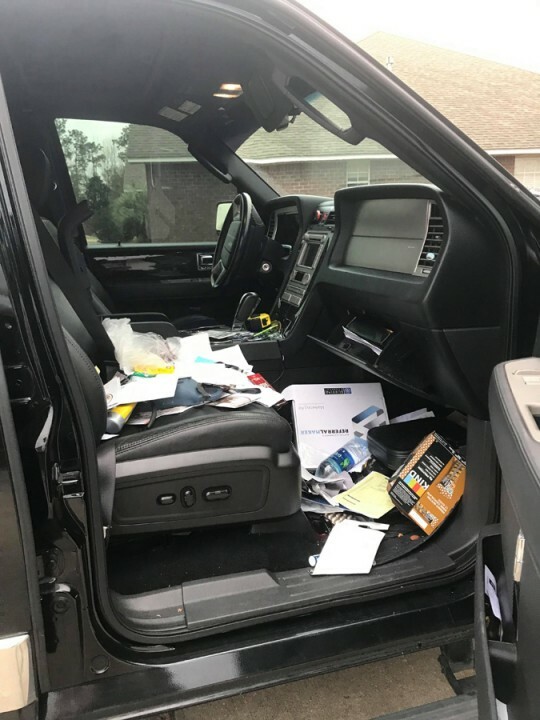 This article has many locals talking and many have stories about stolen property from unlocked vehicles in their “nice” neighborhoods as well. It is going to happen. Face reality and lock your vehicle if you care. Leaving a gun in an unlocked vehicle should be reason enough for that person not ever owning a gun again. The LEO in Mobile was killed by one of those stolen guns. People leaving their vehicles unlocked, especially with a firearm in the vehicle, should be charged as accessories to the crimes. They are just making more unnecessary work for Law Enforcement and putting others lives at risk. Also makes me wonder, without keys being left in the vehicle, how they are so easily stolen?! Wonder what color were the cupcakes.